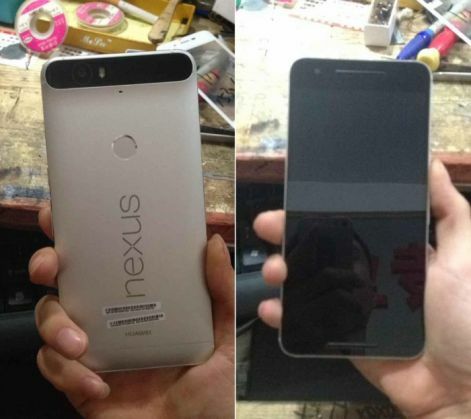 Google's Nexus smartphone from Huawei images have leaked on the net. Google is reportedly releasing two new Nexus models with Android M, a 5.2-inch model from LG and 5.7-inch phone from Huawei. According to the Verge, Photos were posted on iNexus.co and assert to show the larger of the two Google Nexus smartphones rumored to be released later this year. Earlier this month, the images of the smaller, 5.2-inch device being built by LG were leaked. 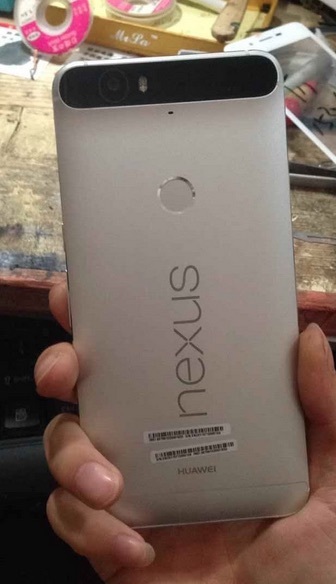 The leaked images of Huawei model show a 5.7-inch Nexus smartphone with a bump housing the device's camera. The leaks of both the devices hint at a similar design language for the latest Nexus, with the devices showing a slightly rounded back with the Nexus logo printed down the middle. A small circle on the back of both handsets appears to be a fingerprint scanner. An image of the front of the device also appears to show dual speakers, presumably offering stereo sound. Also, the additional pictures of the Huawei Nexus posted to Chinese social media site Weibo show a USB Type-C port on the bottom of the device in addition to specs including 64GB of internal storage and 3GB of RAM. There is no official launch date for either devices but reports have suggested the phones will arrive sometime this autumn.